The popular indie platformer Shantae: Half-Genie Hero is coming to Nintendo Switch this summer, developer WayForward has announced via Twitter. The game is releasing in both digital and physical formats, the latter of which is being published by Xseed. 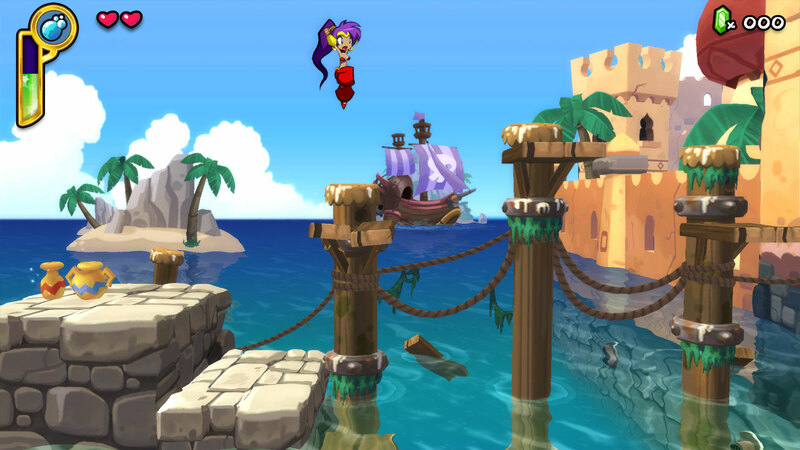 Half-Genie Hero is the fourth installment in the Shantae series and the first to be developed for HD consoles, mixing beautiful hand-drawn character art with 3D environments. The game was released back in December 2016 for Wii U, PS4, Xbox One, PC, and PS Vita. In addition to the Shantae series, WayForward is known for its work on DuckTales Remastered and the Mighty Switch Force titles. The Switch version of Half-Genie Hero will utilize the console's HD rumble feature with 150 exclusive "HD Rumble events." WayForward didn't explain how these events would be implemented in the gameplay, but the developer promised that more details would be "coming soon."